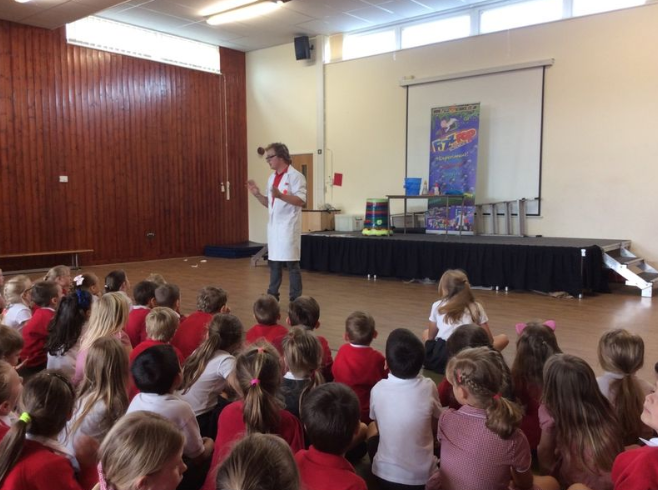 Fizz Pop Science treated pupils, staff and visitors to a special assemly this afternoon where the children learnt about explosions, chemical reactions and all things air related! One child even had the change to shoot people with pockets of air with an 'Airzooka'! Fizz Pop Science will be running an after-school club on Wednesdays this half term. We look forward to a lot more exciting Science throughout the academic year. For more pictures and videos, subscribe to our SeeSaw account.